3. I didn't want prints that were readily available at Ikea or Target, so that our house (which is in a very cookie-cutter subdivision) has some elements of being unique. 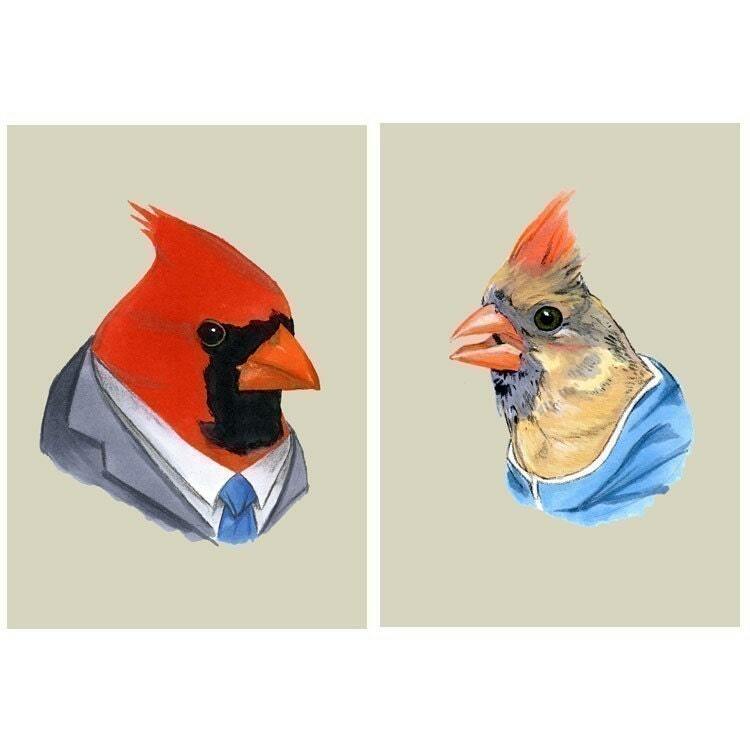 I finally settled on this amazing Berkley Illustration print of Mr. & Mrs. Cardinal, and I couldn't be happier. They're hung right beside our back window which overlooks our bird feeder. An adorable cardinal couple comes each morning and evening to get their fill on seeds. So, naturally, I had to have this homage to them. 1. Yearbook series T-Rex Magnent "Best Dressed". $5. 2. Squirrel print. 5x7, $10. 3. Old Timey Biker Daredevil print. 8x10, $18. 4. Tiger print. 8x10, $18.